After my last post, and the little speck of winter before the little speck of summer before the current (hopefully) little speck of winter we are in at the moment, I noticed that I was a little bit sniffily. 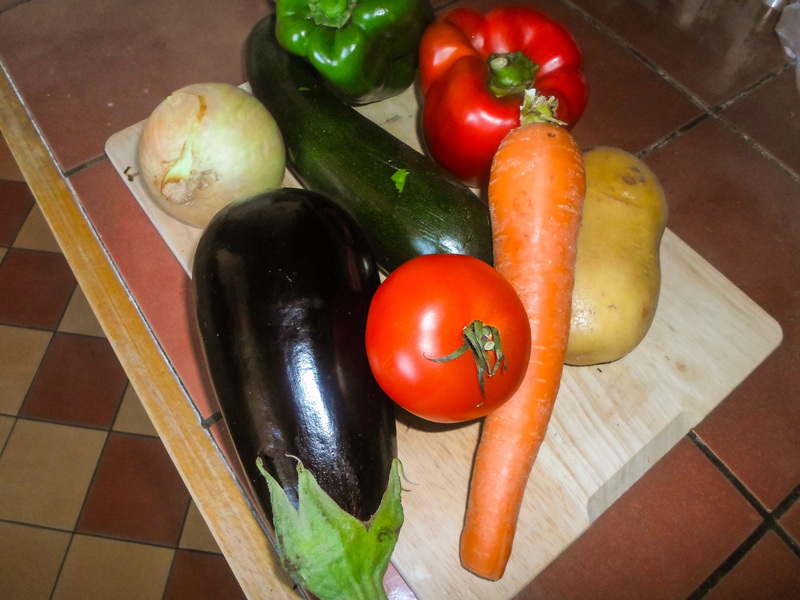 Having just arrived in a new city and starting a new job, the last thing I want is to be getting sick so I decided to give my body a little bit of a vitamin kick to stave off any signs of a cold for as long as possible, and what better way to do that with a truckload of vegetables? 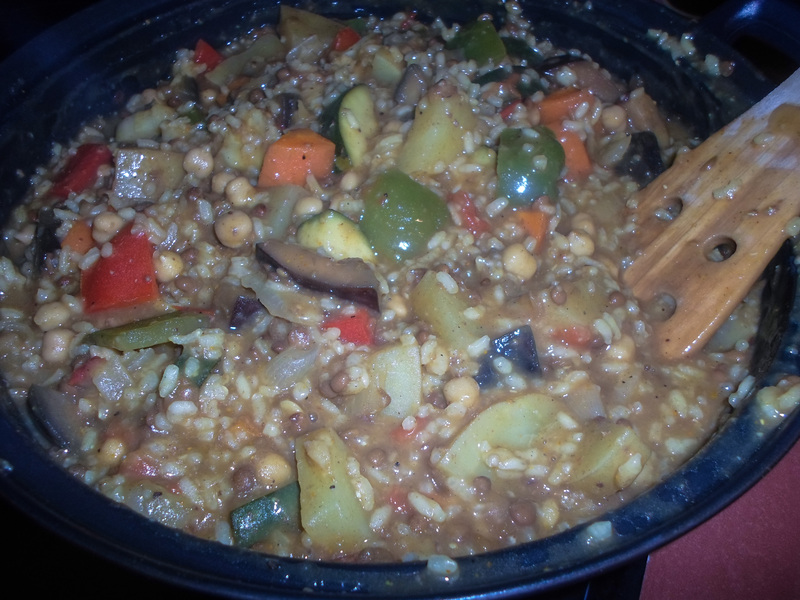 This recipe for a vegetable chickpea curry is not really something that I have taken and adapted, well not so much in the traditional sense. 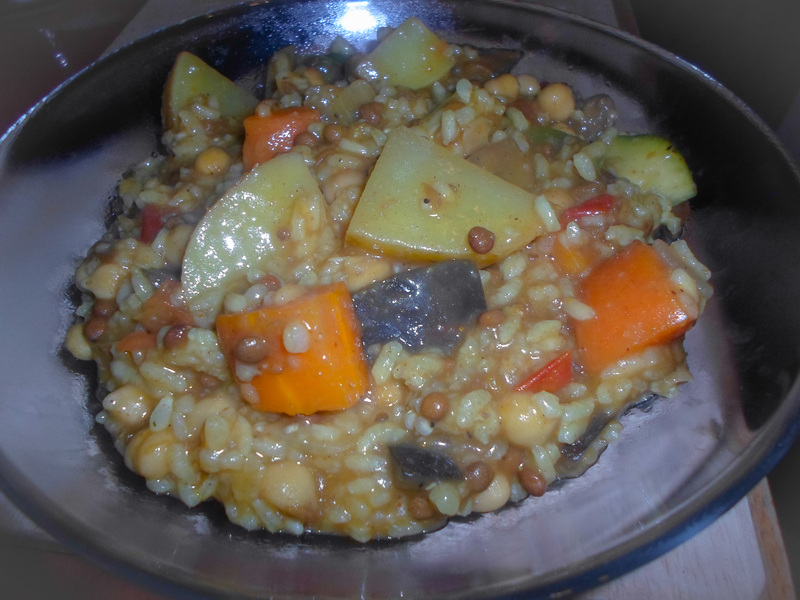 Instead of taking a recipe and adding one or two ingredients, I think the only similarity this recipe has with the original is the rice and chickpeas. 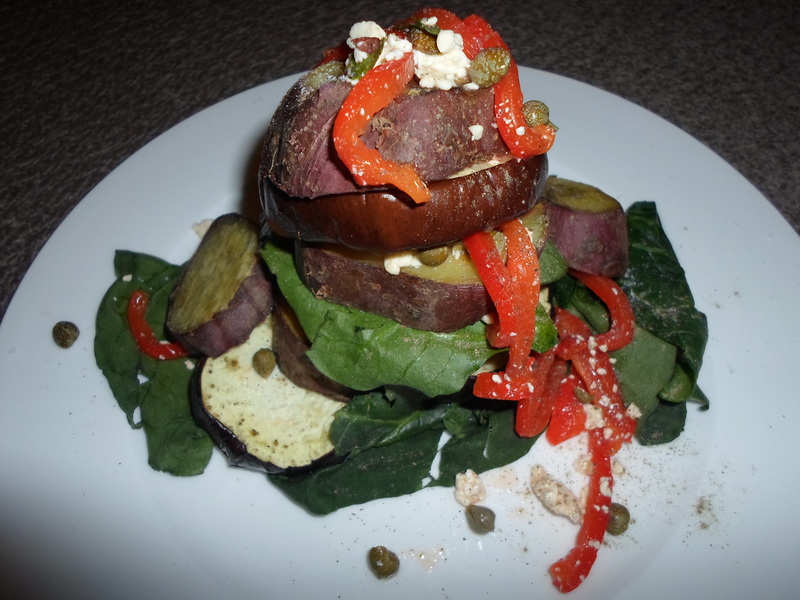 So the recipe is more of a guideline than anything else because you can really put in anything you like! This curry is an easy way to make sure that you are getting your ‘5 plus a day’ and it can easily be prepared in advance or even in a slow cooker left to simmer all day long. Here are the guidelines to make four servings, since I was only cooking for myself I did about half of it but it could be doubled or tripled or even quadrupled. 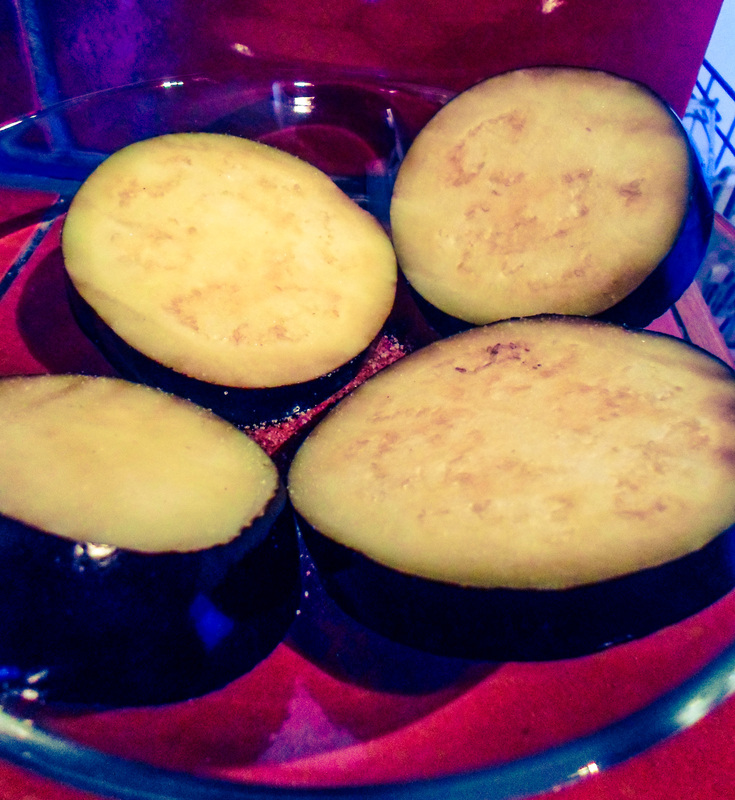 First things first: slice you eggplant into thin discs and sprinkle with salt, cover them and set them to the side. This is to help draw out the bitter flavours of the vegetable. Ideally you should leave it for about half an hour, the longer the better but if you only have 10 minutes then that is okay too. You will be able to see this reaction happening; little beads of liquid will begin to form on the top of each slice and the flesh will start to turn a slightly darker colour. While that’s happening, chop up the rest of your vegetables. I like to keep them chunky for the nice coloration of the dish and also so that you can really taste each one individually as well as part of the dish as a whole, it also saves a lot of time. 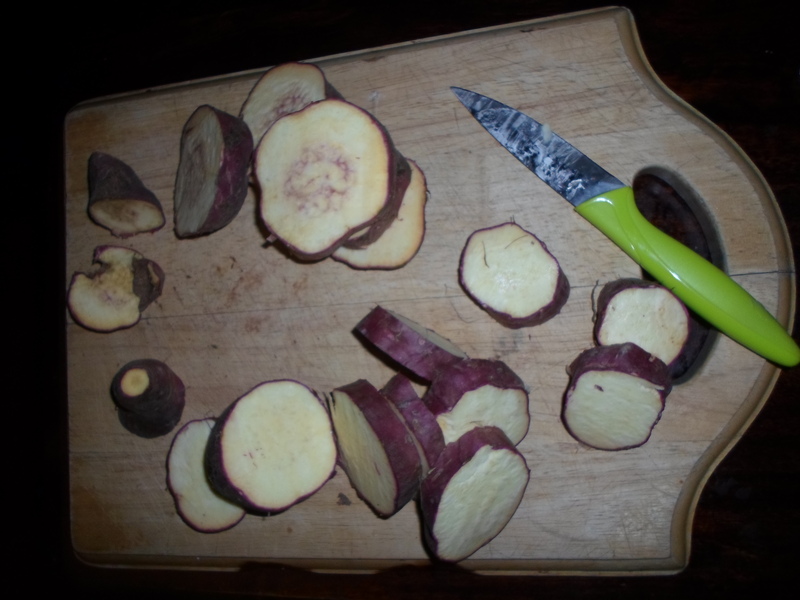 I also didn’t peel any of them, once again this is something that depends on your preference but so much of the nutrients of these vegetables are in the skin. 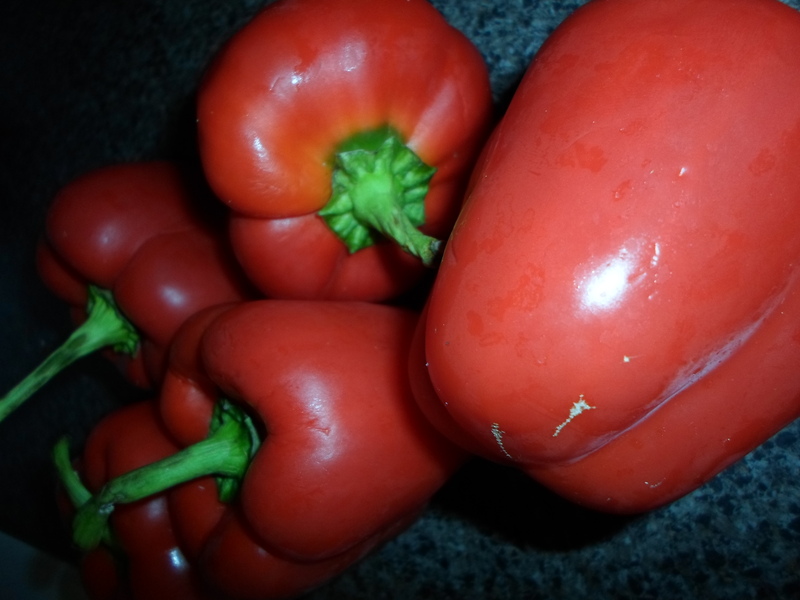 If you want everything to be cooked to the same degree, keep them all separate because the carrot is going to take longer to cook than the capsicum etc. I kept the onion, tomato and potato separate from the others. 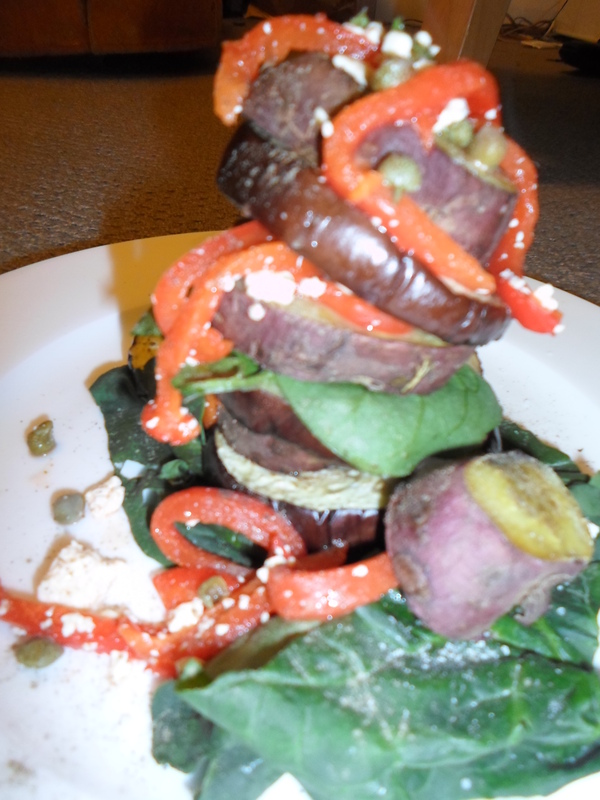 Once you have done this, rinse the salt of the eggplant and dry it off. 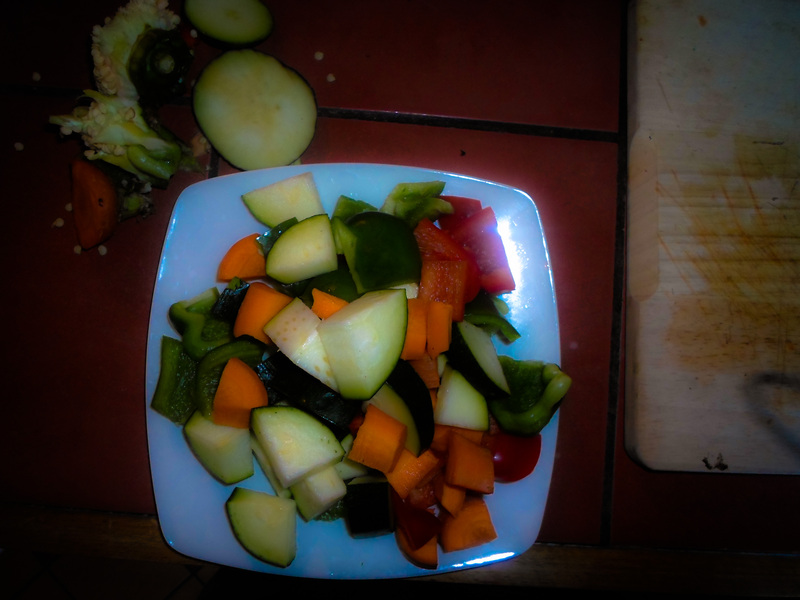 It can now be added to the rest of the vegetables and the cooking can begin! In a large pot (and I emphasize the LARGE; I had to change pots in the middle of cooking because mine was too small and even in my biggest pot it was close to overflowing by the end) heat a dash of oil and add the diced onion and crushed garlic. I also add a sprinkle of sugar to caramelise the onions a bit as they cook and to add a hint of sweetness. but I know it is not always possible to find them like this. Add a generous amount of the spices; about a tablespoon of each should suffice. You could also add a can of curry sauce or butter chicken sauce and add a cup less of water later. 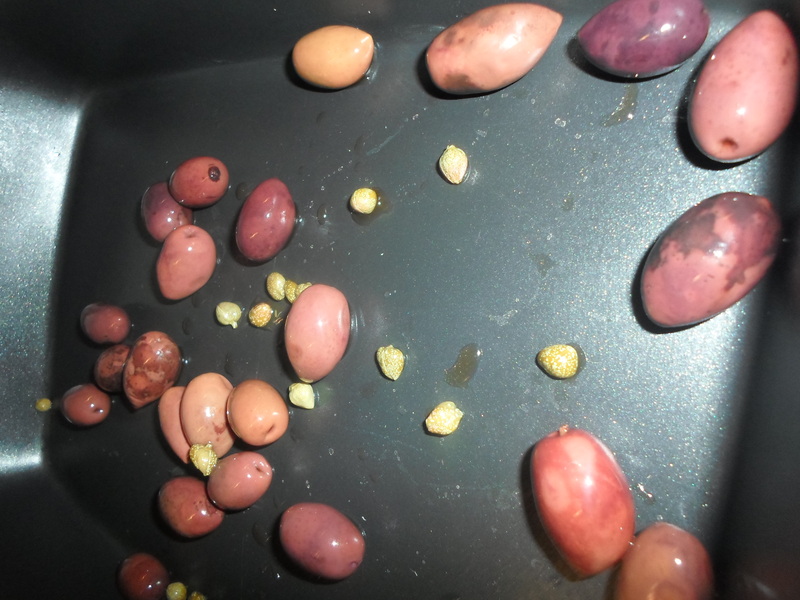 The next step is to add the water that will cook the rice, chickpeas, lentils and potatoes. The amount of water you use depends completely on the amount of each you are adding; I would suggest two cups for each cup of dry ingredient, if using canned lentils and chickpeas then a cup for a cup. As long as everything is submerged you should be okay. Stir and bring to the boil. The water will initially go a creepy brown colour, don’t worry about this as it is just the colour of the lentils’ skin. 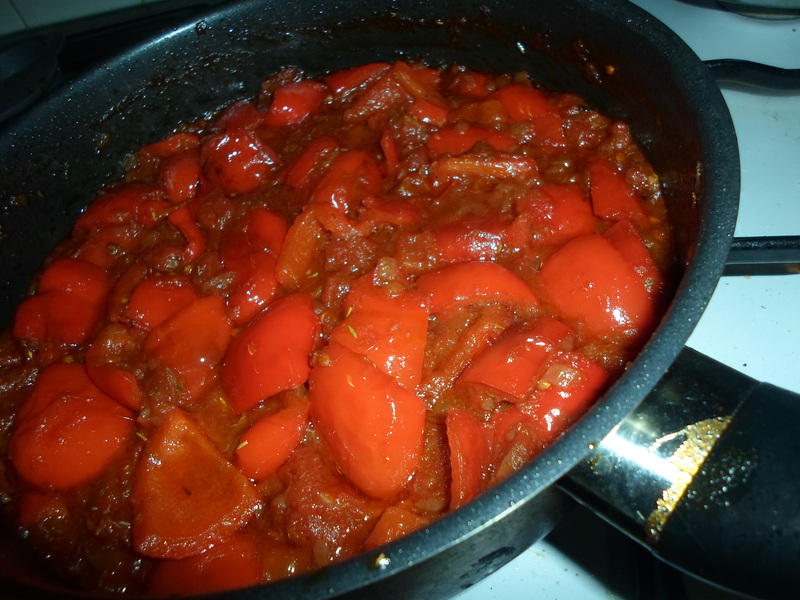 Once it is boiling, cover the pot and bring down to a simmer for about 30 to 40 minutes. If you’re anything like me you will want to check on it every 10 or so minutes, but if you’re not so nosey you can leave it; do some yoga, watch an episode of ‘Orange is the New Black’ (although I admit that its hard to just watch one episode), clean up the mess you have made all over your kitchen. Summer is my favourite season, for many reasons. Not only because I hate the cold and wish that I could spend my life lying on the beach, but also because of the variety of vegetables that are available during Summer; the other day I found green beans at the market that were so cheap they were almost giving them away. 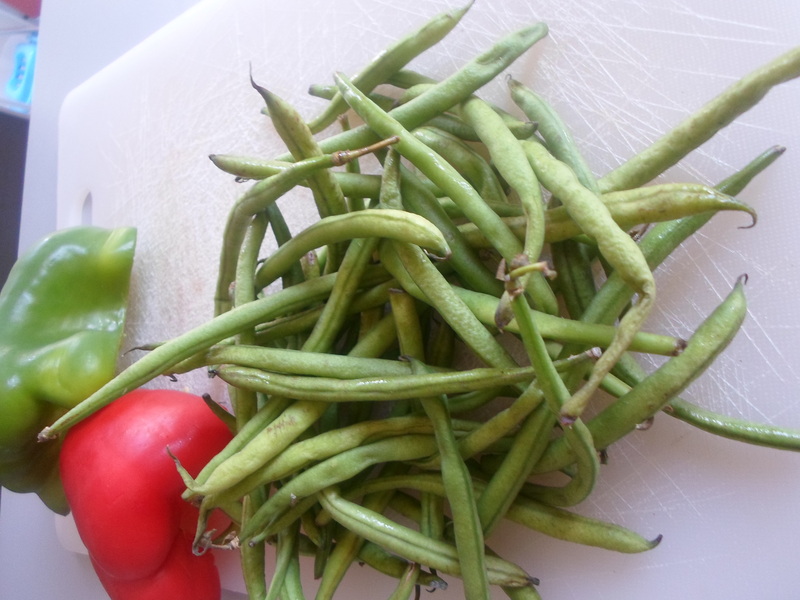 Green beans are my absolute favourite, I will them whenever I can, often even just raw as a little snack. When I was six years old, one of my birthday presents was a ginormous bag of green beans and it remains one of my favourite presents of all time. So I left the market with a 500gram bag of beans which cost me all of 27cents, I was ecstatic! However, I got home and realised that I had half a kilo of beans all for myself and they did not look like they were going to last very long so I had to find a way of using them ASAP. 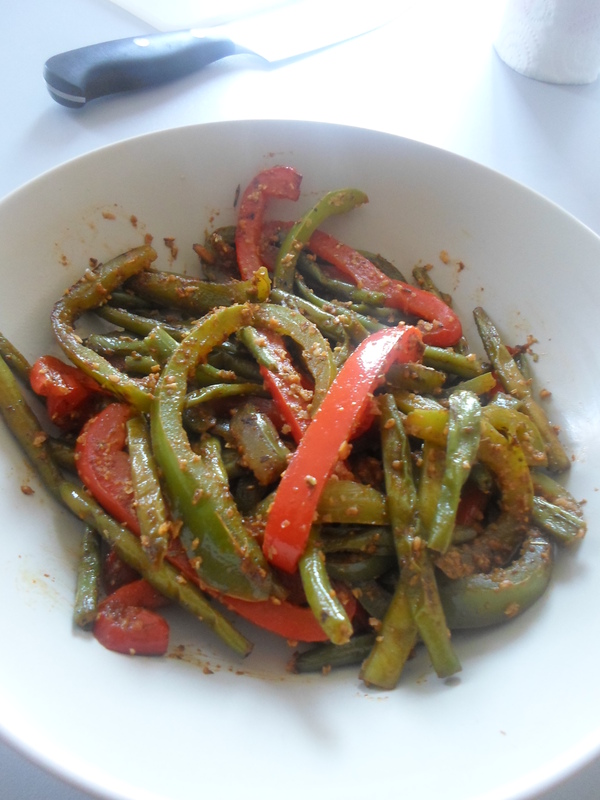 This is an adapted recipe of loubieh bi zeit, a Middle Eastern dish that I discovered a couple of months back (as you might be able to guess, it is basically entirely beans). 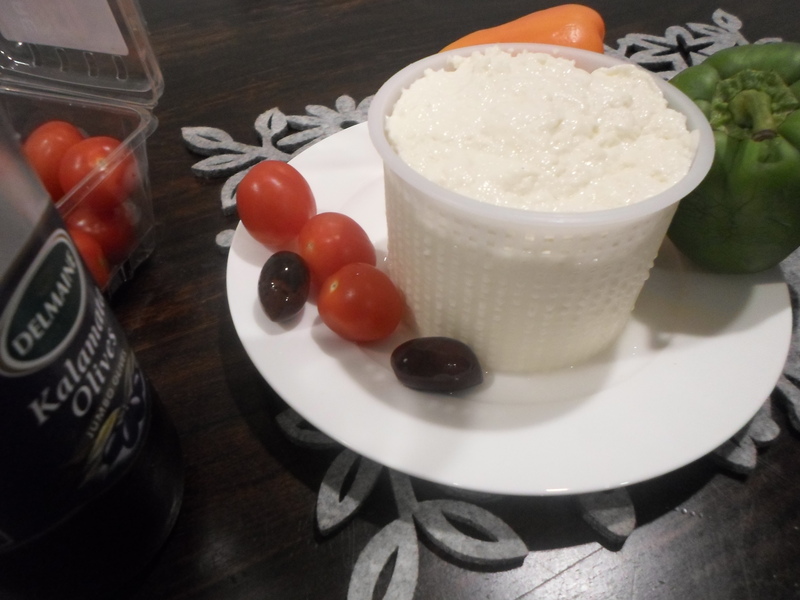 This is so quick and easy that I think it makes a perfect lunchtime meal, as a side salad for dinner or as a dish to take and serve cold at barbeque or picnic at the beach. 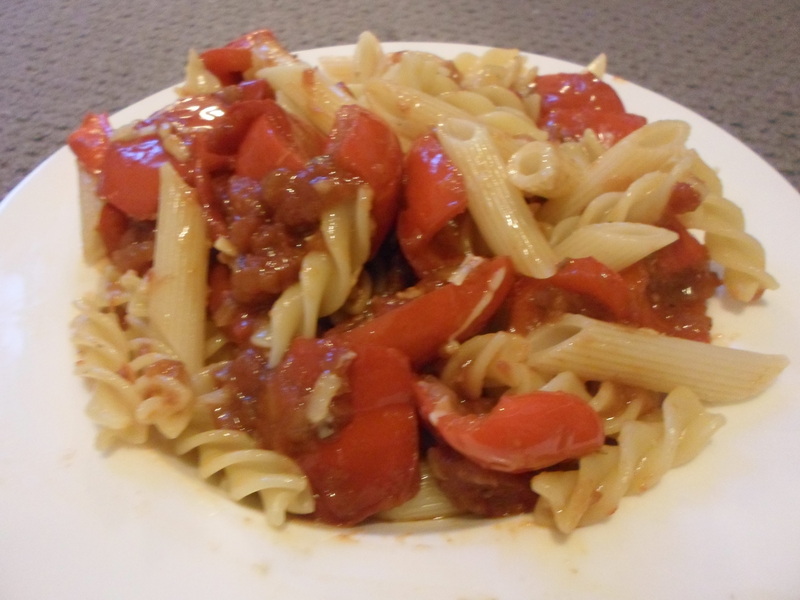 However this is completely a guide; I added the capsicum because they were other things that I had which I thought would go nicely, I didn’t use the tomatoes because I didn’t have them, so you can add or subtract anything you want. 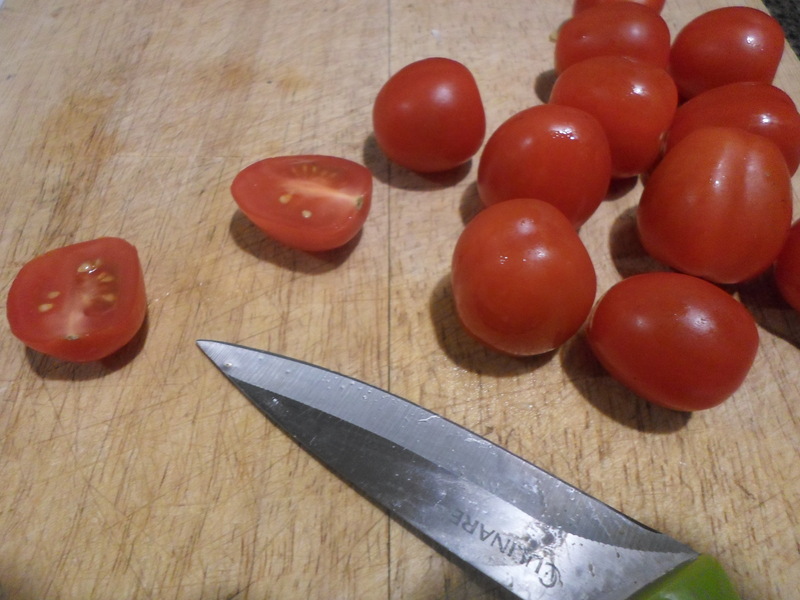 Firstly, thinly slice the capsicums and break off the ends of the beans. 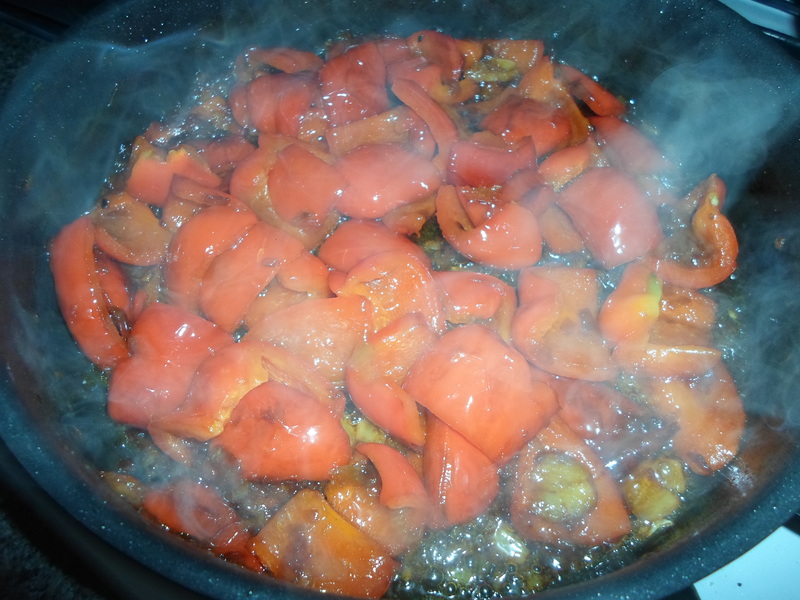 Place the beans in a pot of boiling water, after five minutes add the capsicum and boil for a further five minutes before draining and setting to the side. I added the capsicum later than the beans because I wanted them to retain their a firmer texture to contrast the soft beans. While they are cooking sauté the onions and garlic in a dash of olive oil, by the time they are nice and soft and slightly translucent the other vegetables should be done. 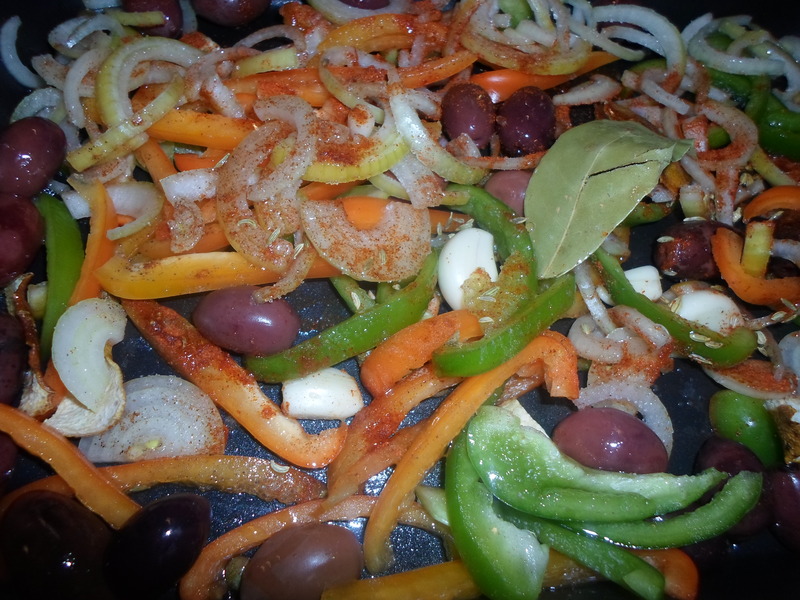 Turn the heat of the pan up and add the vegetables; they should sizzle! This is what is going to help make the beans to get a little bit fried and crispy which is what I like so much about this dish, beans that are both soft and crunchy. After a couple of minutes add whatever spices and herbs you have. I know this sounds like a lot but it needs to be in order to coat the beans well. 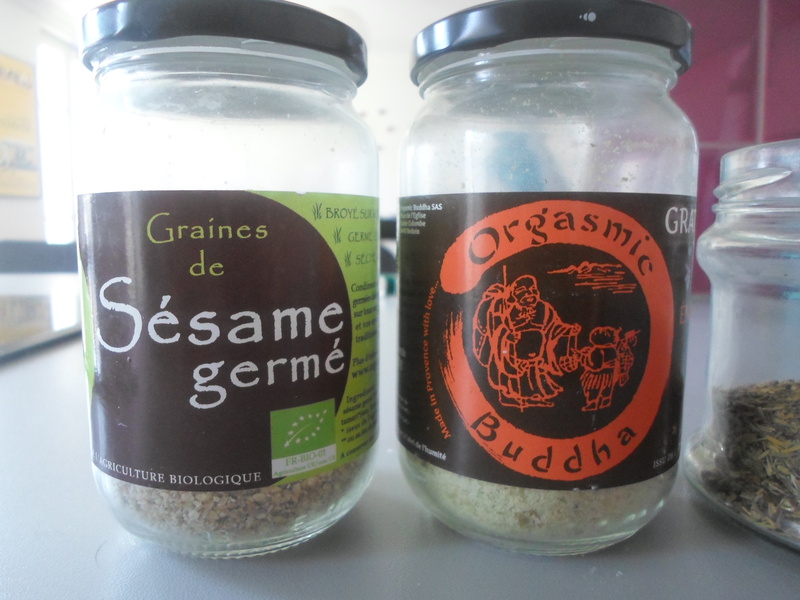 I also added some sesame seeds and some ‘Orgasmic Buddha’, I have no idea what this actually is, I found it in the cupboard and thought that I was hilarious. Add the spice mix and turn the heat down, you don’t want to burn the spices or your smoke detector will not be too pleased. Stir constantly for a few minutes and it’s done! 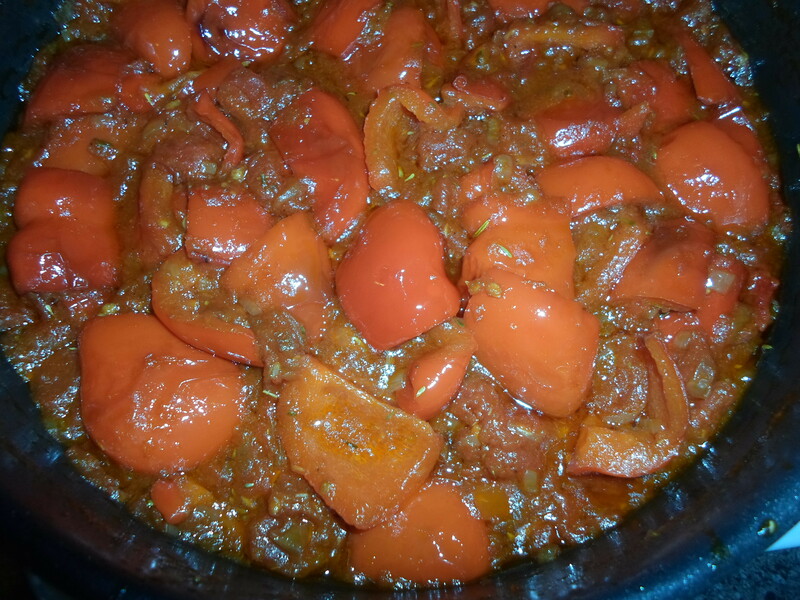 If you are using the version with to tomatoes add you still have a bit to do; add them and bring to the boil before leaving to simmer for about 10 minutes. Now you’re done. 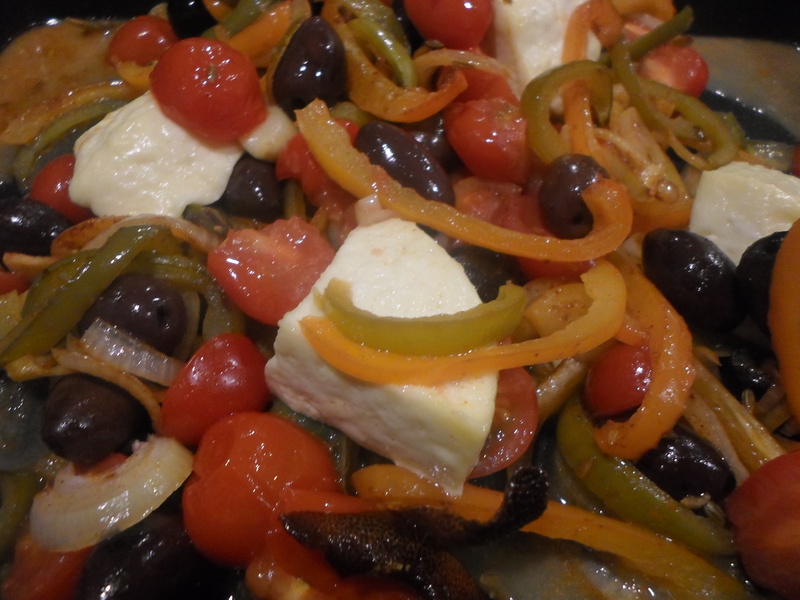 This dish is so simple, and so delicious. Perfect for any time of year, the spices will warm you up on a cold evening or get you sweating to cool off in the middle of Summer! Next week will mark three months since I arrived in France, wow it has gone so quickly! 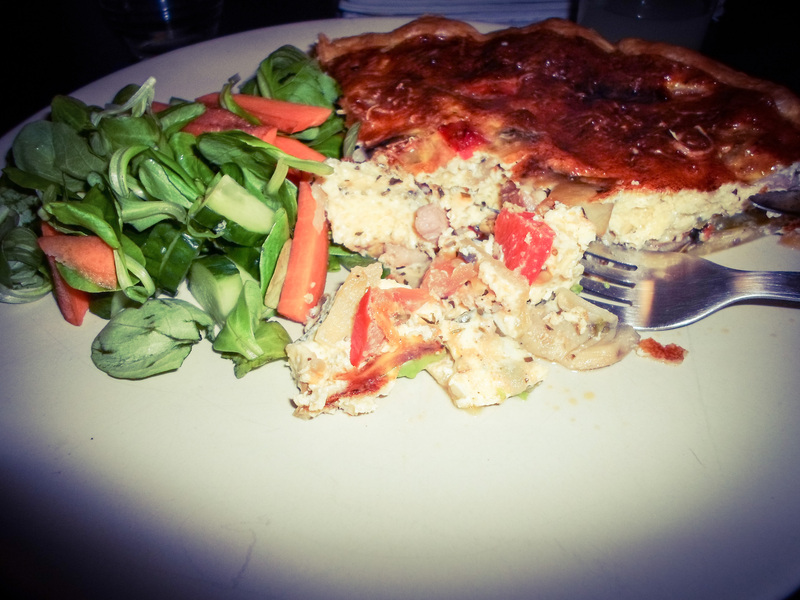 The other day I realised that in those three months I had not yet eaten a French quiche, a dish that I have always automatically thought of when I think of French cuisine. Luckily, this was about to change as I am the only one in the apartment for the next week weeks and was given a carton of eggs the other day, and I don’t eat eggs by themselves and quiche is an easy way to use up a lot of eggs in one go. There are literally a million different variations of quiche (okay, maybe not literally but there are a lot) so the first step after acquiring your eggs is to decide what else your going to fill it with. So I was bumbling around on the internet looking for a recipe that would use the ingredients I had waiting to be used in my fridge and I found a recipe for a ‘Rainbow Quiche’ which 1) looked delicious, 2) mainly used most of the things I had, and 3) was obviously a sign that this was meant to be a celebration quiche to celebrate the overturning of DOMA and Prop 8. And boy, this sign was delicious! 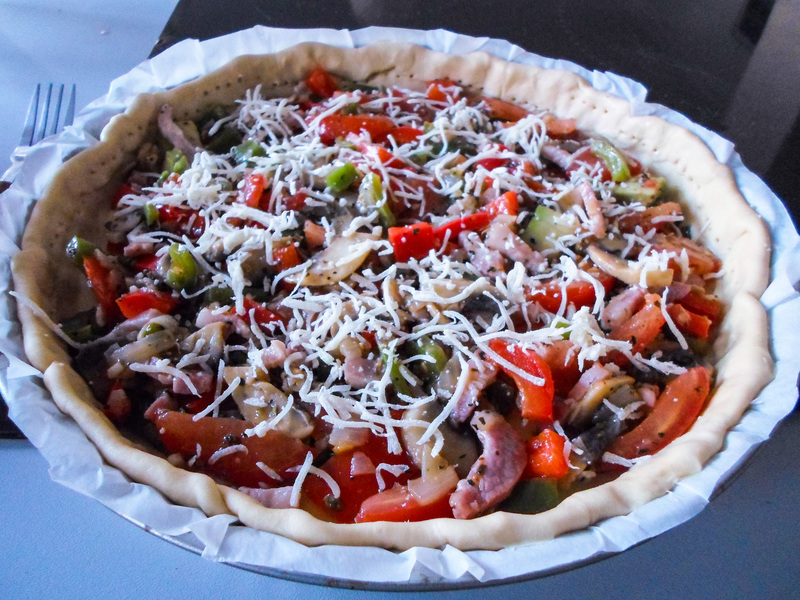 As you can probably guess, a Rainbow Quiche is a quiche full of colourful ingredients so feel free to pick and choose whatever vegetables you want. 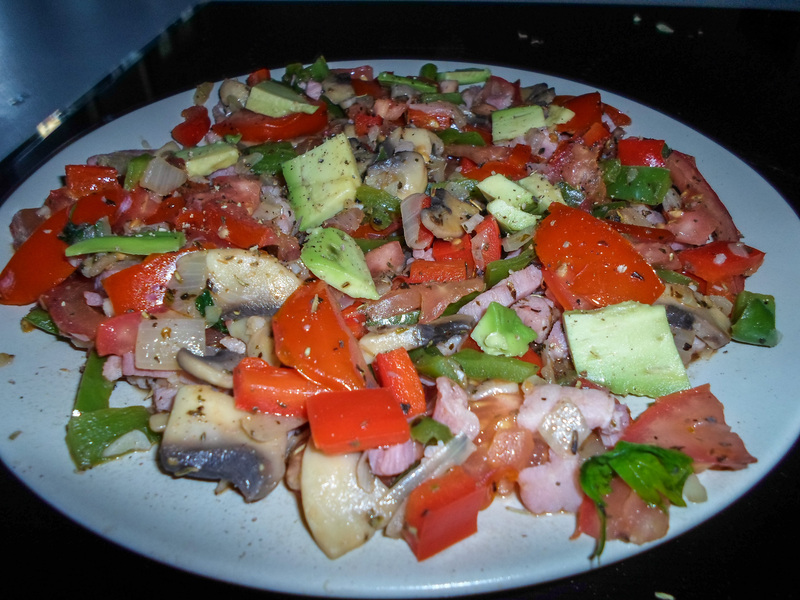 The recipe called for three small capsicums, each of different colours and finely diced, half an onion some broccoli and a cup each of spinach leaves and sliced mushrooms. I personally had a big issue with this part of the recipe, why measure mushrooms in cups? You can’t go and buy a cup of mushrooms or measure it out, so why say it? By the way, a cup of mushrooms is two medium sized ones. I could not find any spinach at the grocery store and I hate broccoli more than I hate anything in the world, so I omitted these ingredients and replaced them with a diced tomato and half of an avocado. I also only had two kinds of capsicums so I switched the orange one for 100 grams of lardons (bacon bits) because they are almost the same colour and they are yummy. Line a pie dish with savoury pastry, shape it nicely, poke it all over with a fork and put in in the refrigerator to chill. In a large pan or skillet, heat a bit oil or butter (depending on what vegetables you plan on using, or really to your own preference) and add the onions. I also added some crushed garlic because I love it, and have recently discovered all of its amazing nutritional properties. If you are using lardons then add them when the onions start becoming slightly translucent. You know that the lardons are cooking nicely when they start to release all of their juices, the onions will start to absorb this and become full of flavour! Next add whatever vegetables you have decided to use, sauté them until they are tender before seasoning with salt and pepper and some dried herbs. 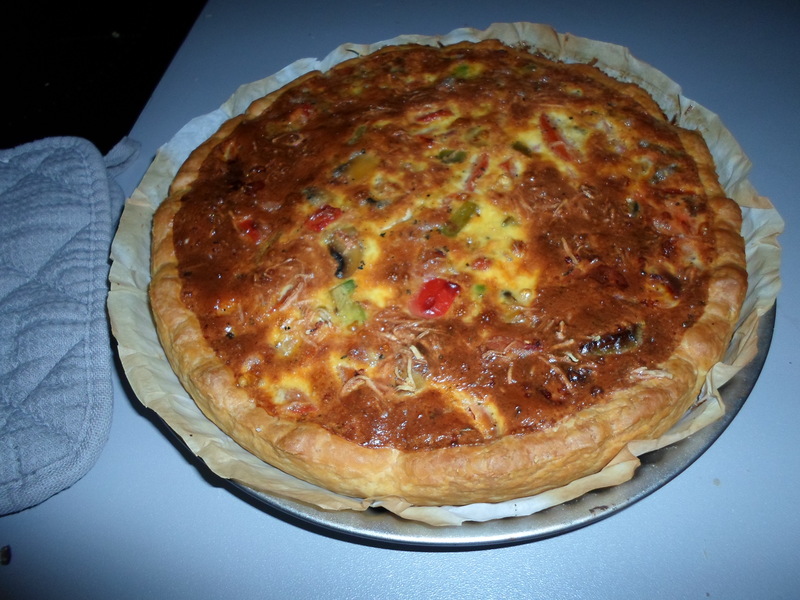 I added the tomato after I did this so they hadn’t gone too mushy when I assembled the quiche. I also didn’t add the avocado, along with a few sprigs of fresh parsley until just before putting the vegetables into the pastry. Remove the mixture from the pan and leave on a plate to cool slightly, this is so it doesn’t melt the pastry. I almost stopped right here, because it already looked amazing and I wouldn’t have minded eating it just like this! The recipe that I was loosely following called for 6 eggs and 1 3/4 cups of milk or demi crème whisked together with a dash of salt but I was scared that this would be too much for my little dish, and I also had a lot of vegetables so I used 5 eggs and 1 1/2 cups of milk knowing that I could always whisk another egg if I didn’t have enough. 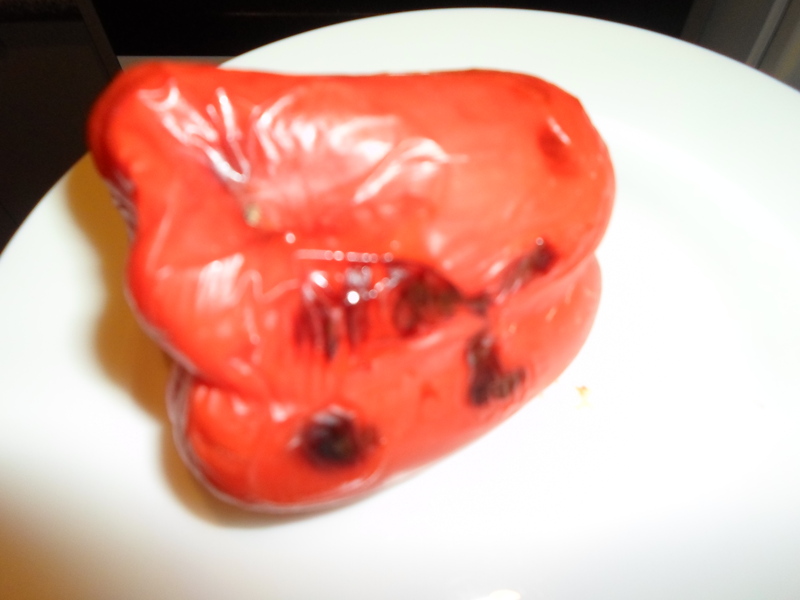 Spoon the vegetables into the pastry mold and spread evenly. Cover with a cup of grated cheese, basically any kind will do; mozzarella, nacho cheese, I wish that I had used crumbled feta but instead I used Emmental. I would probably advise not to use this as it didn’t go nice and gooey like I would have liked but rather went all crusty and crunchy. Pour the milky egg mixture over top and place in the oven for 45 minutes on about 180°C. It is lucky that I used only 5 eggs because the mixture was this close to overflowing as I placed it in the oven! You know it’s ready when you can stick a knife in it and pull it out without any egg sticking to it, it should be nice and golden on top. Leave it to sit for about 10 minutes before serving. I served mine with a nice rainbow coloured salad. And ate half of it in one sitting, but it is supposed to be 8 servings, I guess for people with no appetites. Enjoy!